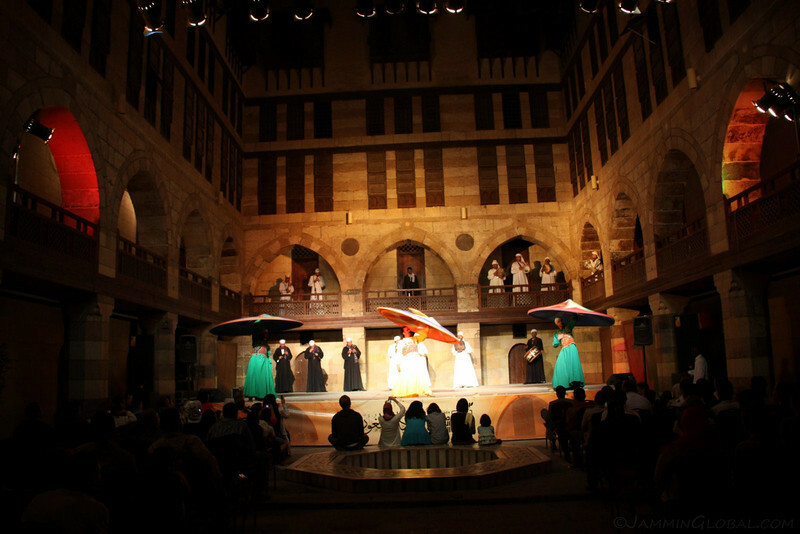 My host in Cairo, Fabrice, told me about this cultural show that was a must see before leaving the city. 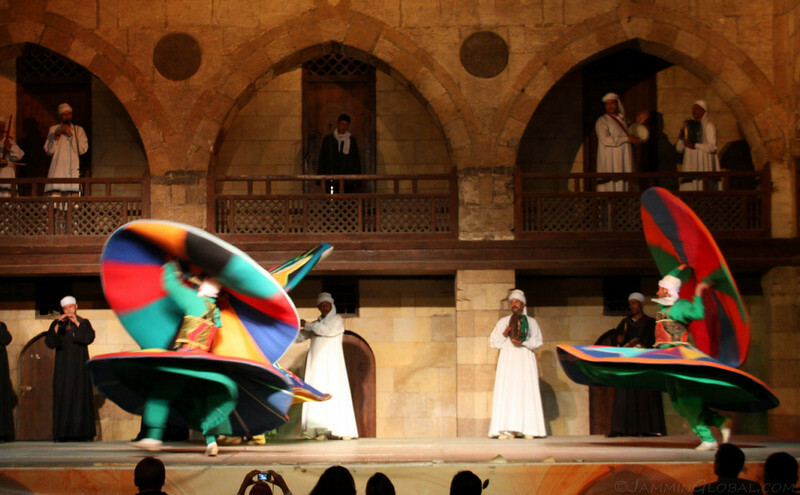 It was put on by the Al Tanoura Dance Troupe and consists of men spinning around in big skirts. If I lost you with that description, I urge you to reconsider and try and grasp what a mesmerizing performance it was. 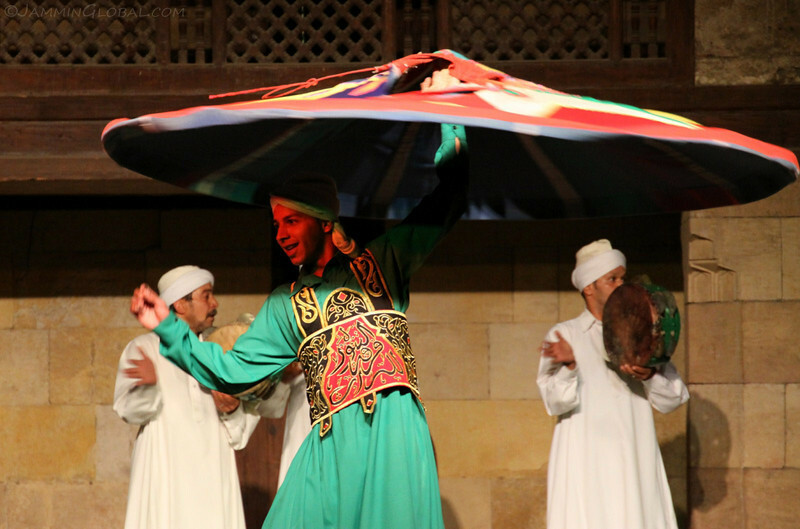 The dance has it origins with the Whirling Dervishes of the Sufi order of Zikr and is a form of physical meditation where the dancers enter into a trance-like state to get closer to spiritual purity. The organizers of the show allowed unlimited photography but forbade video recording. I put together a rough clip from video shot before they told me to stop recording and another sequence to capture the audio of the rhythms to add another dimension to the photos. 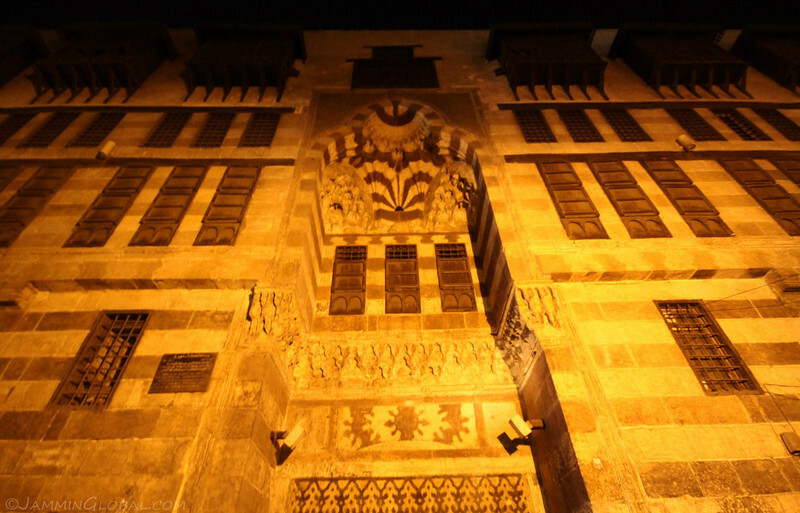 Click here to see and hear Al Tanoura (rough video). 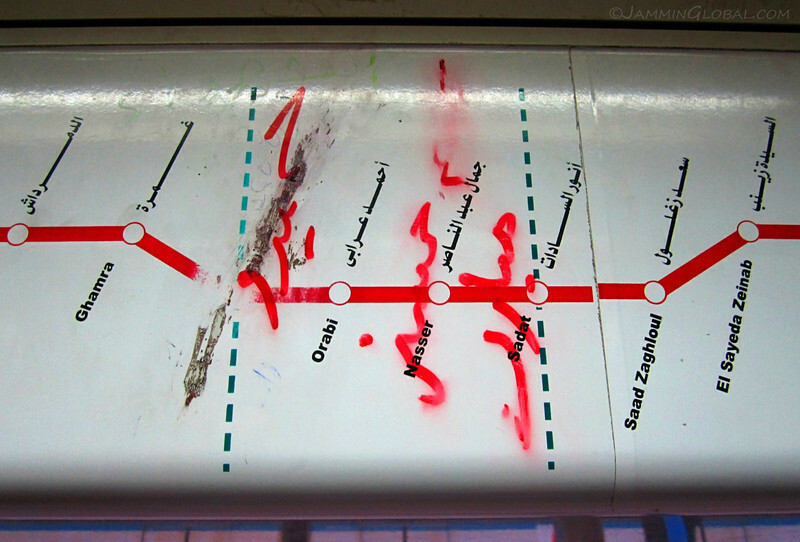 I took the Metro with Cody into the city and while I don’t know what the Arabic writing says, the station that’s crossed out was named Mubarak, who was recently overthrown by the Egyptian people. Nasser and Sadat were the previous presidents. Other places named Mubarak were also crossed out and I can see the same happening in Libya now with Gaddafi gone. 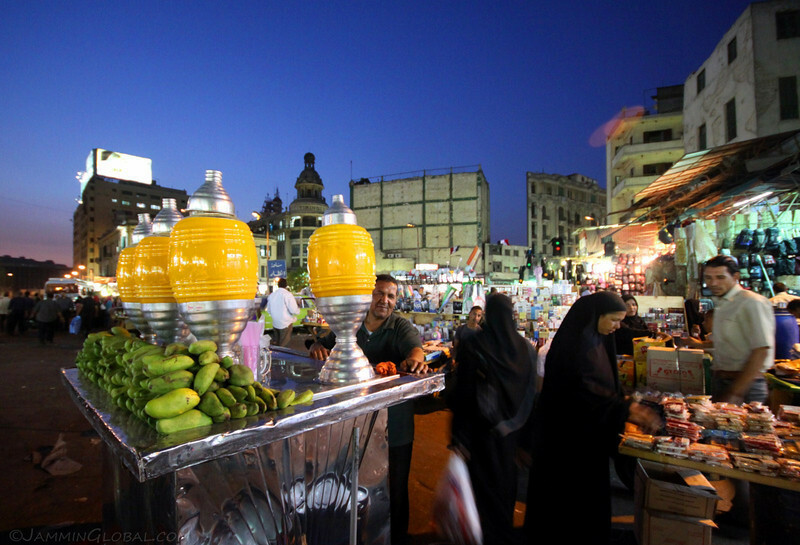 Walking from the metro station to Khan el-Khalili in Islamic Cairo, we passed this colorful stand and I had to have a glass of fresh mango juice. The streets shops were more alive in the evening compared to the day time. 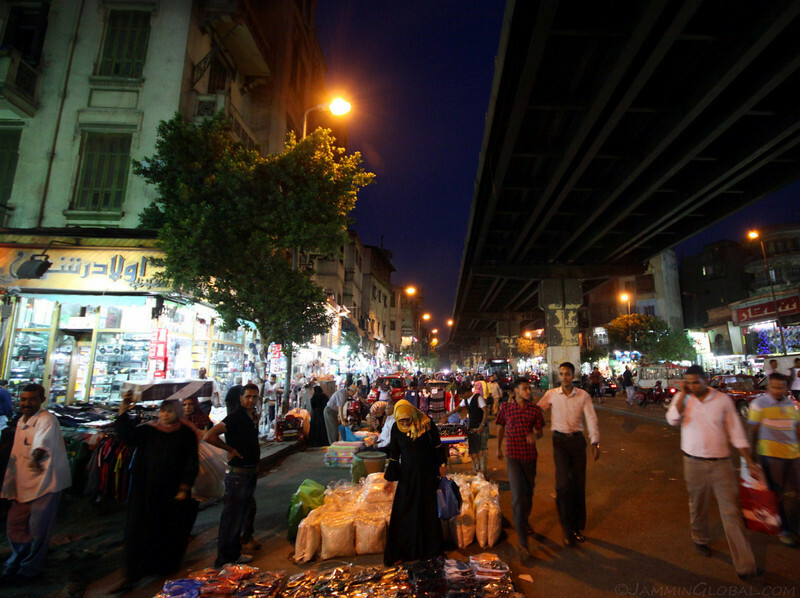 Busy street life under an elevated highway near Khan el-Khalili. 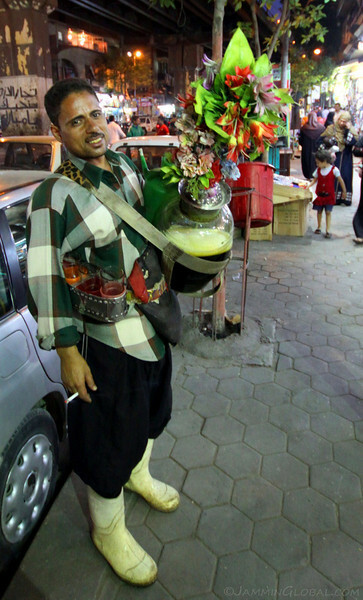 A colorful tea merchant having a cigarette break. 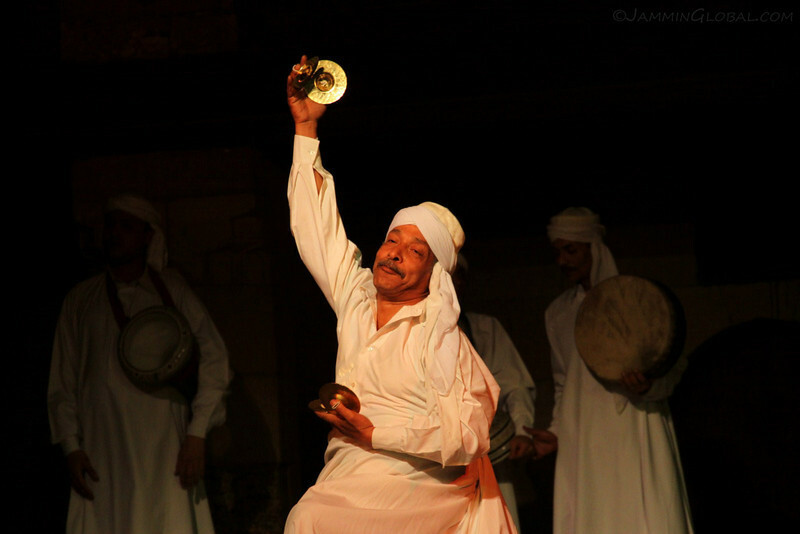 …Tanoura Dance Troupe, showcasing the cultural heritage of Egypt’s Spinning Sufis or Whirling Dervishes. 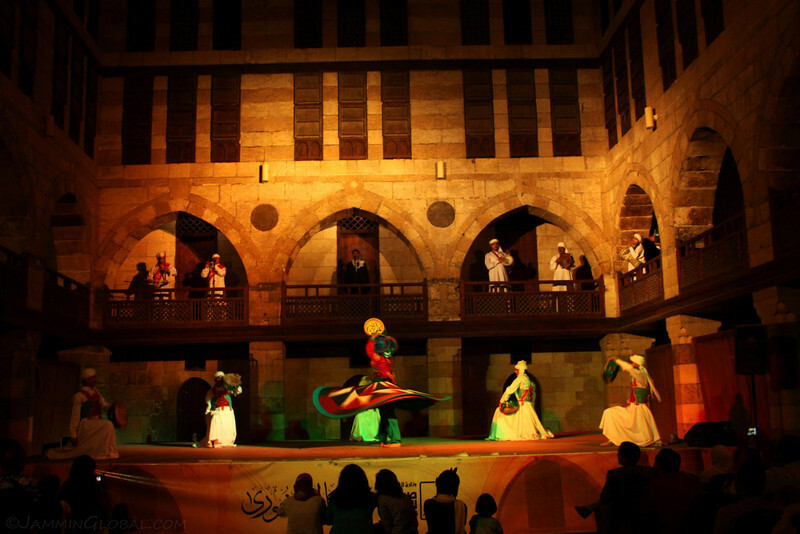 …The Tanoura Cultural Show. 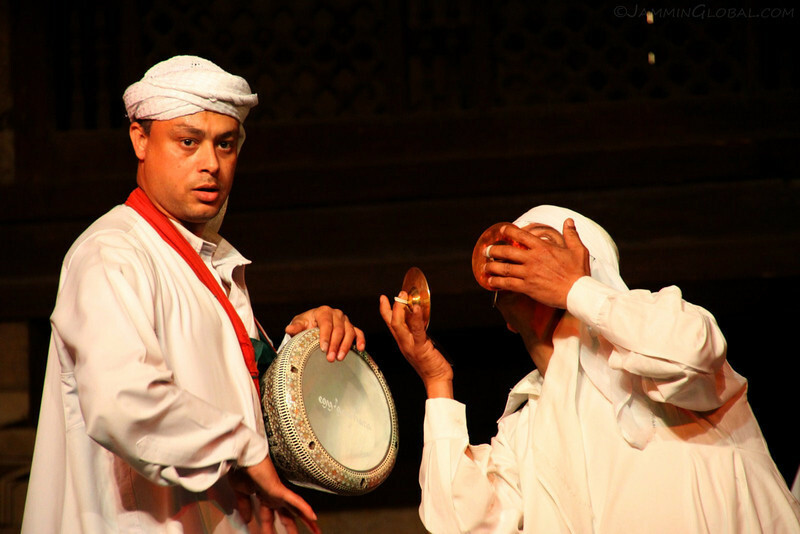 The hour-long show had three acts, with the first act being a presentation of the various musicians and their instruments that create the rhythms and mood for the following acts of the Sufi dancers. The facial expressions of this particular gentleman was fantastic. He took cymbal playing to a whole ‘nother level. Ending his solo with a grande pose. The intense expression of this drum player was contrasted by the almost comical act of the cymbal player. 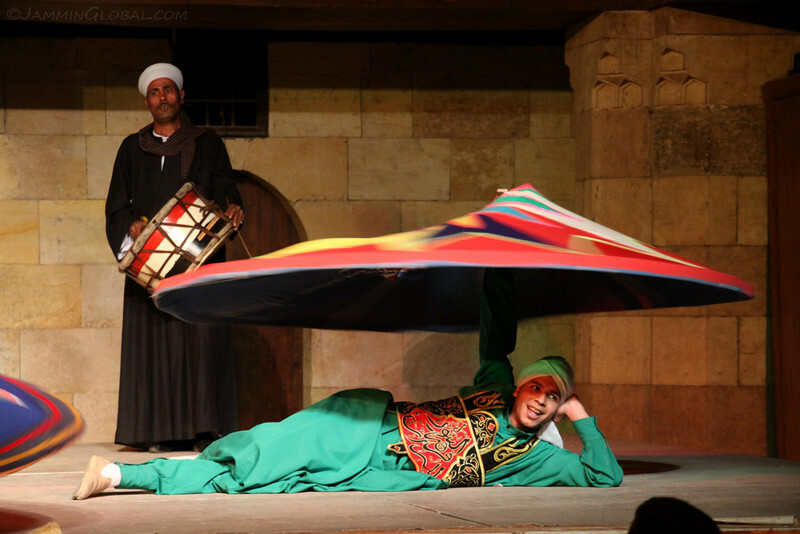 Act 2 brought out the Tanoura dancers and introduced the colorful skirts that are a trademark of Egypt’s adaptation of the spinning Sufi dancers, compared to the white dresses of the Whirling Dervishes of Turkey. 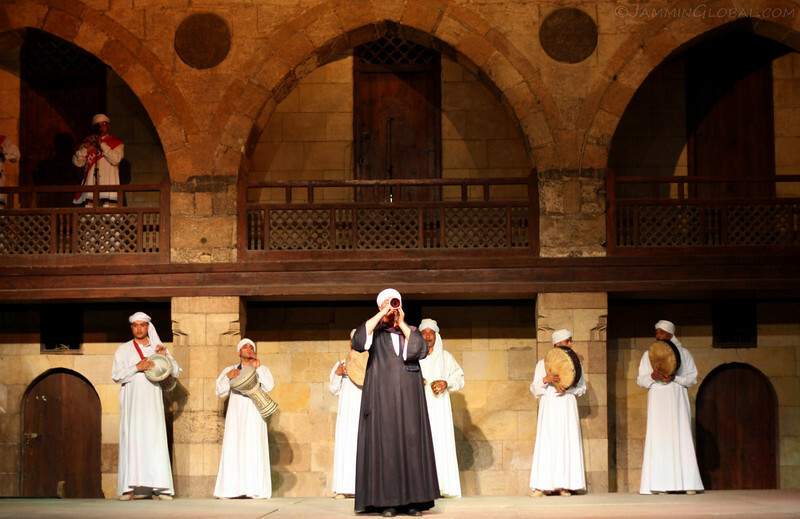 One origin of the dance is from the Sufi order of Mevlevi, that originated in Turkey in the 13th century by Mevlâna Jalâluddîn Rumi. The story goes that when one day Rumi was walking through the bazaars of Persia (Iran) he became mesmerized when the beats of the hammers by the goldsmiths synced with the chanting of his followers in tow and caused him to start spinning, which put him into a trance-like state and has since been emulated by his followers. The constant spinning, which each dancer did for about 15 minutes, puts them into a trance, which along with thinking of ‘god’ is supposed to get them to a nirvana-like state called Kemal (the source of perfection), where with no other thoughts in your mind, you can become pure. 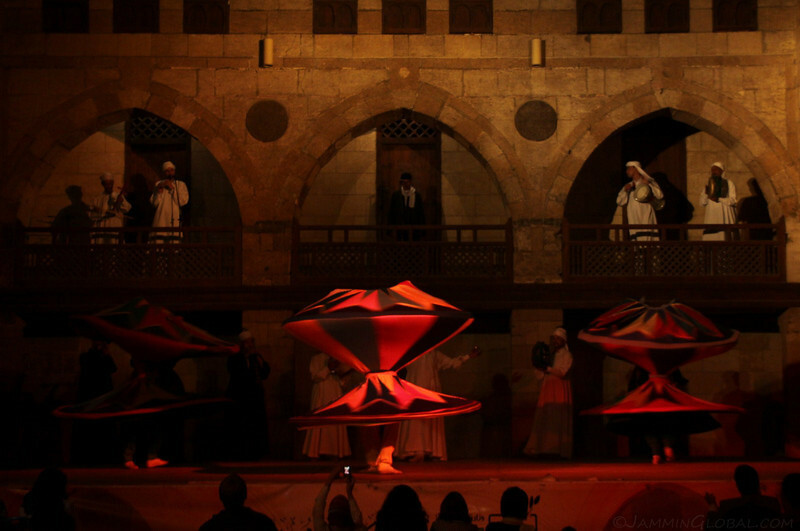 The dancers mesmerized the audience by manipulating the heavy skirts into flowing motions. And after a few minutes, he detached the skirt, first dropping it to the ground, then picked it up and started whirling it around his neck. The patterns on the skirt helped create a hypnotic effect. The third act took the demonstration one step further and introduced dancers with multiple skirts. The act of removing each layer symbolizes progressive stages of shedding earthly facets such as ego and desire and attaining a more pure form of being, that which is encapsulated by the idea of ‘god’. Note the foot-work of the dancers. 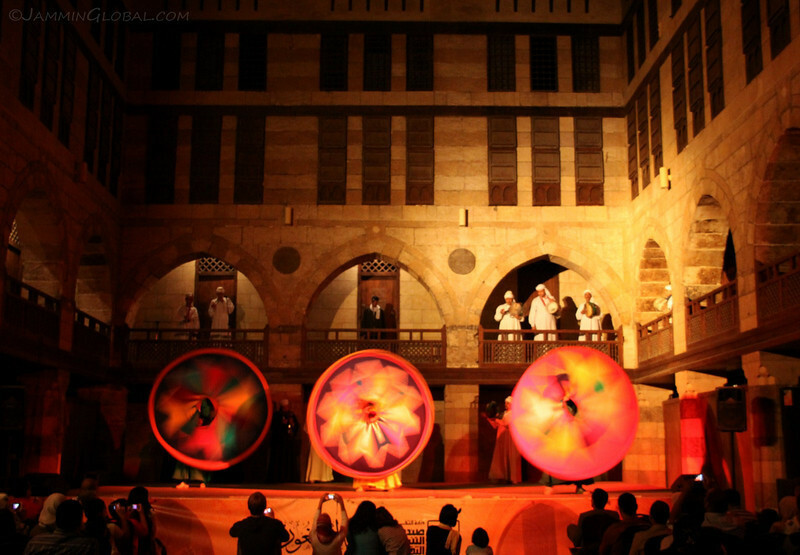 It was amazing to see them spinning constantly for about 15 minutes and then stopping with no effects of dizziness or imbalance. 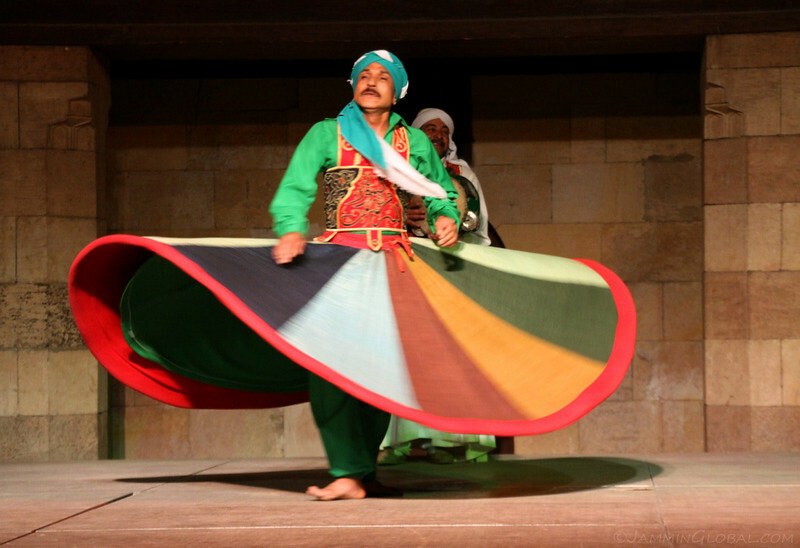 Clearly a long training process is needed to become a Tanoura dancer. The thought of dancers spinning non-stop for such a long time might sound monotonous, but actually, it was a highly engaging performance. The accompanying music varied its pace and intensity, which created a dynamism to the show. Here, the engaging cymbal-player is focusing his energy on this spinner who sped up to a tremendous rotation speed that left me in awe. They also whirled their heads around constantly, which must be such a strain on the brain. One of the highlights was this strange spectacle of one skirt being expanded over the head. 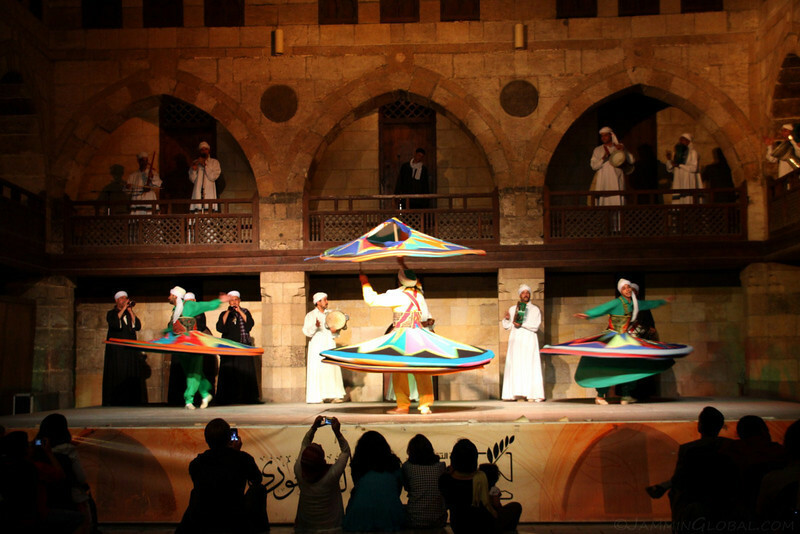 Besides the Turkish origin, another story states that the Tanoura spinning was introduced when the Fatimids conquered the area and created Cairo in 970 AD. 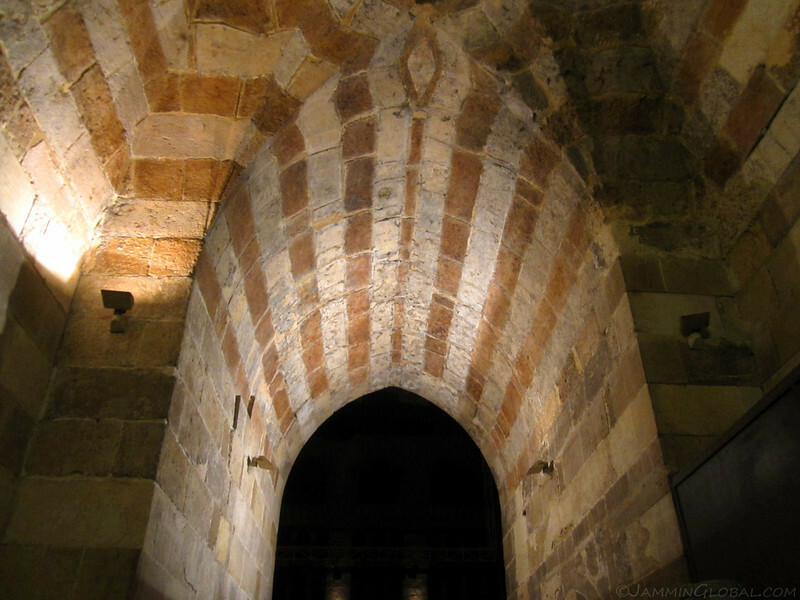 Now for some Islamic history that ties in here: The Fatimid Caliphate was created by Ubayd Allah in 909 AD in present-day Tunisia, and he traced his genealogy back to Fatima, the daughter of the Prophet Muhammad who was given in marriage to Muhammad’s cousin, Ali ibn Abi Talib, known simply as Ali and considered the first male convert to Islam (~7th century). Ali is revered by all three sects of the religion: Sunnis, Shias and Sufis. If you’re not familiar with the difference between the various sects of Islam, they mainly stem from what importance they give to Ali. Shias (mainly in Iran and Iraq) believe Muhammad designated Ali as his successor and Sunnis (the majority of Muslims, including those of Egypt) believe Muhammad did not appoint anyone as his successor. From this difference stems all the hatred between these two sects captured by Saudi Arabia (Sunni) wanting to get rid of Iran (Shia) and vice versa. Sufis on the other hand are above these differences and choose to use mysticism to get closer to god, such as spinning into Kemal (the source of perfection). At an energetic part of the third act, it appeared as if the dancers were jousting with each other by using the heavy, spinning skirts as an extension of their strength. 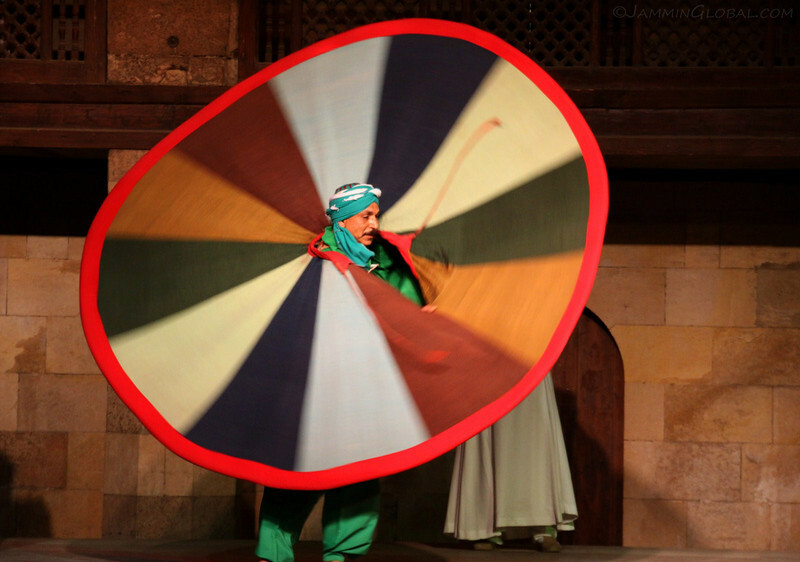 Besides attaining religious purity, Al Tanoura also had acts of showmanship with one-handed spinning going on here. All of this was taking place in the great courtyard of Wikala El-Ghuriya, a 500 year old building that used to be an inn for travelers. The ambiance was excellent with the changing lights and the sharp rhythms bouncing off the stone walls. Now that’s definitely just showing off: spinning a heavy skirt one-handed while lying down. 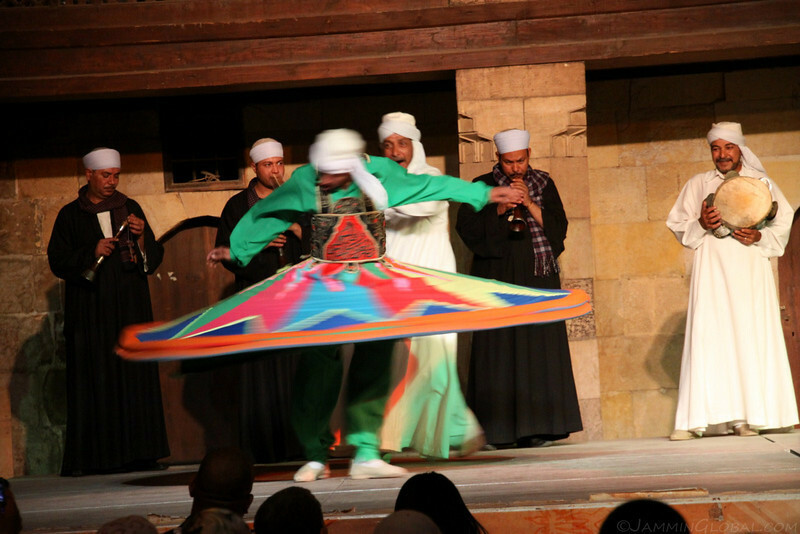 The show ended with a grand finale of the hypnotic skirts spinning into and out of each other and coming to an emphatic conclusion when the last skirt was dislodged, symbolizing the attainment of Kemal by the spinning Tanoura dancers. 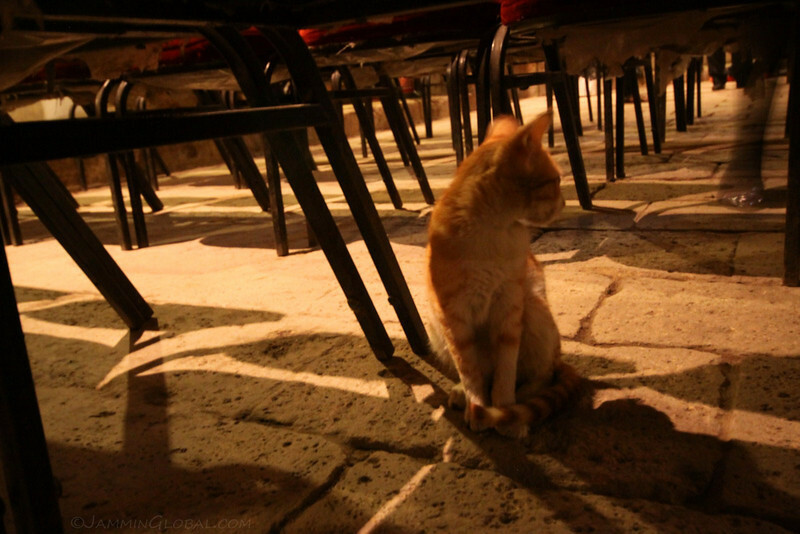 And here’s the obligatory Egyptian Cat, who was also watching the performance from under the chairs or looking for his next meal. 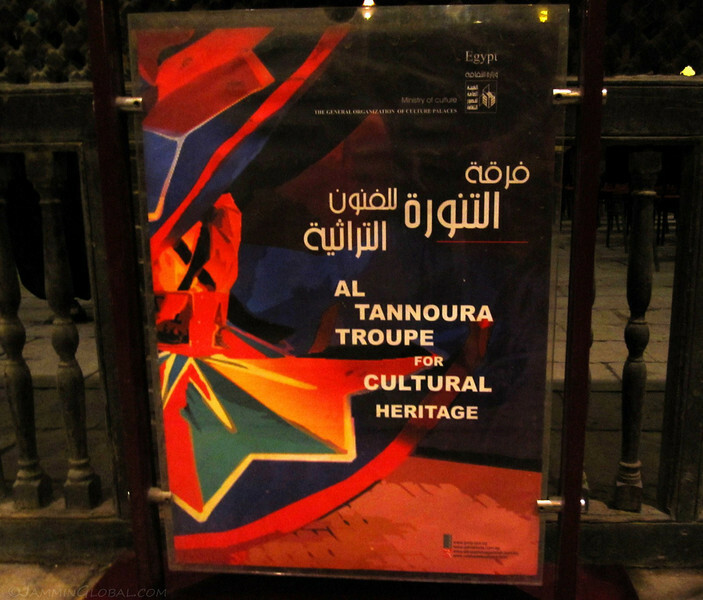 Al Tanoura put on an exciting hour-long performance and being there in person was a deeply moving experience. I’m not a religious believer, but I can empathize with the search for purity sought after by continuous spinning and freeing your mind of human desires. This spiritual goal has developed in various cultures throughout human history with some calling it nirvana and others calling it god. Far from being an esoteric goal, I think human society would benefit if everyone sought to clear their mind for at least a few minutes each day and just concentrated on nothing, which if attained successfully would actually strengthen your mind. If you need to spin, invoke chants, sing hymns or meditate to get there is your choice, as long as the goal is Kemal and you harm no one else along the way. Ommmm. That’s delightful. Great photos. I liked the mesmerizing music on the YouTube link. Thanks. You’re a very lucky young man to take this trip. 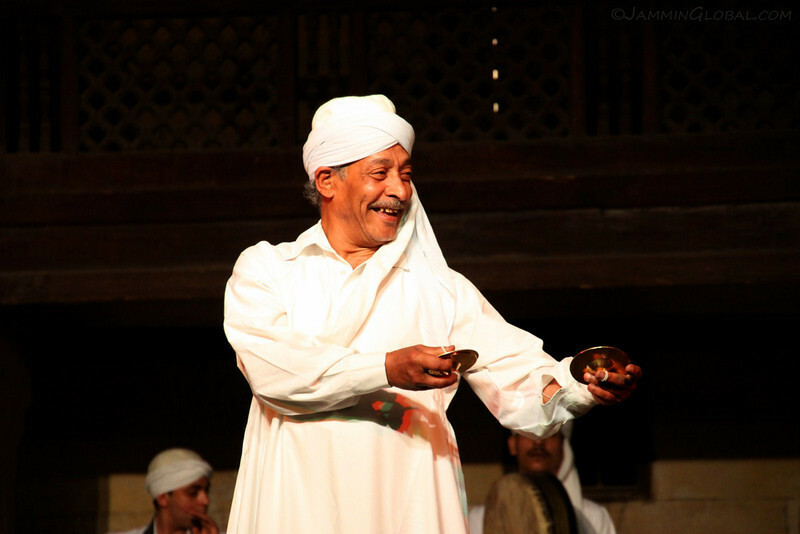 I had been to Egypt recently and seen the performance myself, but your blog shed light on the meaning behind each step in the dance! Thank you!